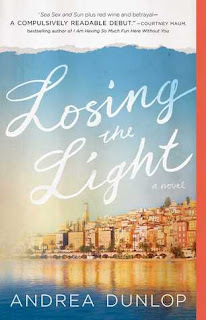 Losing the Light is a charming novel about two friends who move to France for a semester abroad. Each girl left behind troubles of their own, and they hope to forget about their problems for a while and explore a new country. The novel begins in present time and leaves the reader on a bit of a cliff hanger in the first chapter as the author takes a turn back in time to the semester abroad in France. Throughout the entire novel, I was waiting for something totally crazy to happen. Dunlop kept me on my toes and didn’t allow me to let my guard down until the very last page. The writing is great and the characters were intricately developed. Dunlop makes it incredibly easy to love some of the characters, want to be best friends with others, and strongly dislike some as well. Losing the Light is a light and easy read that I thoroughly enjoyed. I was expecting a little more mystery, but I did enjoy the ongoing feel of suspense throughout the entire novel. 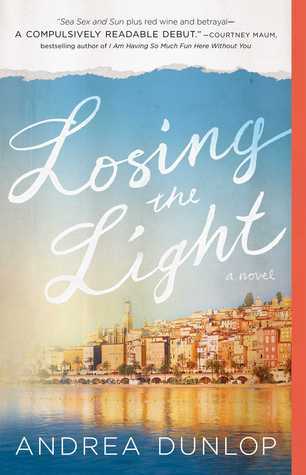 If you are looking for a fun and quick read with an international twist, check out Andrea Dunlop’s debut, Losing the Light!